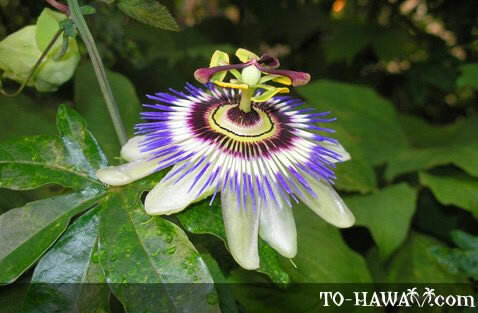 There are at least 11 species of lilikoi in Hawaii, all of them are not native to the Islands. Two varieties produce an edible fruit, one of which has a purple rind and the other a yellow one. The fruit's pulp is orange and inside are black seeds.